Our appliance technician in Newark, New Jersey is highly trained and certified. We will fix all major home appliances. Our repair service is very fast. How fast do you ask? We offer same day repairs. In many cases, we are there within the hour. If you are waiting more than 24 hours for service, you’re waiting too long. Every appliance service technician on our crew is experienced and highly skilled. We know how to find problems and how to fix them. Let our pros help you today! At Appliance Repair Newark, we take repair service seriously. You need your appliances to work right. Fridge problems and freezer repair needs require the fastest service possible. Our specialists understand this. We respond rapidly to keep your food from thawing or going bad. Our appliances repair technician is friendly and polite. We work hard and make quality our number one focus. We have the knowledge and a winning attitude. You can trust our local company. Give us a call. 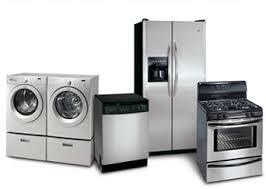 We are pleased to provide complete home appliance repair in Newark. What does that mean? It means that we will fix laundry and kitchen appliances. You should choose our experts for outstanding washer & dryer service. Our kitchen repair service is extraordinary. Our kitchen appliance technician will fix fridges, stoves, freezers, and ovens. We will also repair microwaves, dishwashers, and garbage disposals. Our seasoned specialists stock our trucks with many replacement parts. We can fix any appliance quickly and accurately. Our appliance technician will work hard to earn your respect. Our technicians are dependable and prompt. We are focused and detail-oriented. Our team shares one goal. Our objective is to administer quality customer service every day. We approach appliances repair service in that way. Each appliance receives our full attention. Your satisfaction is completely guaranteed. That is how we do business. It seems like your home appliances always break down when you least expect it. This can leave you surprised and stressed. If your appliances quit working, call us. We promise our Newark appliance technician will respond quickly to help you. Just give us a call and we will be there.